Wellington Cantonment Board Recruitment 2017: Wellington Cantonment Board issued an official notification in their website. According to the notice, they are going to fill the vacancies available in designations like Lower Division Clerk, Mason, Electrical Lineman 1, Office Assistant etc. Aspirants qualified in this current year can apply for this Wellington Cantonment Board Recruitment 2017. At present 21 vacancies are available in these professions. Government job seekers can use this opportunity. Elaboration of this recruitment details are given below. Wellington is home to the Defence Services Staff College (DSSC), a premier tri-service training establishment that imparts training to field grade officers of the three wings of the Indian Armed Forces, friendly foreign countries and various Indian Civil Service departments. It is situated in the north of Coonoor, the Mettupalayam-Ooty road passes through the Cantonment. This Board is one of civic administration body in India under control of Ministry of Defence. This board now going to conduct exam for selecting the right candidates and appoint the job openings listed under Wellington Cantonment Board Recruitment 2017. Candidates can apply for this latest recruitment through online mode. Nature of job is permanent. Emoluments Offered: Selected peoples will get their salary monthly basis, details of salary is given below. Educational Qualification: He/ she should have the following academic qualification. Each and every posting qualification is variable. Age Limit: Upper age limit of the citizens as on 11th August 2017. Age Relaxation: As per the government rule relaxation is applicable for the below listed category candidates. For each category maximum age limit is mentioned below. Board will conduct the following process for selection. Application Fee: Mode of the payment is online. Payment can be done through the gate ways like Net banking, Credit/ Debit cards, mobile wallet etc. After successful transaction of the amount candidates will receive the payment receipt, it will display in the system. Appliers satisfying above criteria can apply for this Wellington Cantonment Board Recruitment 2017 via online. Appliers must keep scanned certificates, photograph and signature at the time of online application. Go to the website “www.cbwellington.in”. Select the “Apply online” link under “Whats News…” tab. New users first register their details and create user id & password. So choose the link “Click here for new Registration”. Next login the web portal and duly fill the application form. Upload the photograph, signature and relevant documents. Before submission of the application form, appliers once again recheck the details given in the application form. After submission of the application form take a print of the application and e-receipt for future reference. In this above section we have discussed about the job vacancies available in Wellington Cantonment Board. If the candidates have any doubts regarding this recruitment refer the official notification. Ordnance Factory Avadi Recruitment 2017 for Superintendent: Ordnance Factory is a Department of Production which functions under the Ministry of Defence. There are many factories functioning in various parts of the country. Among them the Ordnance Depot Avadi, has published an official notification in the DAVP website. The notification states that there exist 9 vacancies in the designation of Superintendent (Store). Applications are invited by Ordnance Depot Avadi, Chennai on the same from deserving candidates who comprise desirable educational qualification and eligibility criteria. The other details relevant to this recruitment is mentioned in the below section. Aspirants who are Graduated in any discipline or possessing Diploma in Engineering preferably in the discipline of Material Management obtained from recognized university or board are eligible to apply. The upper age limit for unreserved category applicants are 27 years. Relaxation in this age limit is considered as 30 and 32 years for OBC and SC/ST category respectively. Selection of deserving candidates will be carried out in two stages. At first applications are shortlisted and written exam will be conducted. A candidate who performs well in this test will be further invited for personal interview. Selected candidates will be appointed in the above said designation. These appointees will be provided with a monthly salary of Rs.5200-20200/- along with a grade pay of Rs.2400/- per month. Aspirants seeking for this job may get the application form from the official website of Ordnance Factories. Fill this form with necessary information. Send the duly filled application along with photocopy of relevant documents and certificates. All the supporting documents must be attested from the Gazetted Officer. Enclose all these documents in an envelope which should be affixed with and postal stamps of Rs.25/-. Send this envelope containing application and other documents to the address "Ordnance Depot Avadi, Chennai-600055" before 21 days from the date of issue of this notification. Join Indian Army 2017 is a homogeneous organisation similar to the any medical service which is developed especially to serve in war field during emergency situations. This service corps is developed by amalgamating Indian Medical Service, the Indian Medical Department and the Indian Hospital & Nursing Corps in the year 1943. The steady progress of this crop is take place after the Independence of the country. Today it serves with huge number of medical officers in army hospitals as well as in tertiary hospitals. These officers are selected by the general recruitment process conducted every year. 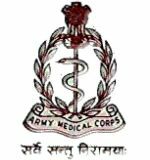 This year the recruitment is going to be carried out in Indian Army Medical Corps for Short Service Commission. Many aspirants with medical qualification would like to work in an adventurous environment but very few of them only achieve their desire. To get a job as you desired this is the opportunity to try your chance, the application format is available in the official advertisement. Get a copy of it and apply by following the instructions stated below. Applicants must be a medical graduate with a qualification of MBBS is eligible, if they hold any post graduate degree like MD, MS, M.Ch or DM can also apply. The applicant must be registered their qualification permanently in any State or Central Medical Council. Candidates who are going to be complete their internship by 31st March 2013 can also apply. After scrutinizing applications candidates with good academic profile will be invited for interview by a recruiting board of officers. The selected candidates will granted as Short Service Commission Officer in the Armed Forces Medical Services. These officers will be placed in the Captain or its equivalent rank in Navy/Air Force, at this rank the officer will get a basic pay of Rs.17160-39100/- with a Grade pay Rs.6100/- plus Military Service Pay (MSP) Rs.6000/- per month. The other allowances which are available to serving officers will be provided as per army rules. While sending an application applicants need to enclose a Demand Draft value of Rs.200/- as application fee which should be drawn in favour of "Director General Armed Forces Medical Services (APF Fund)", payable at New Delhi. Before sending write your name and address at the backside of the DD for reference. Join Indian Army 2017 Application form is available in the official notification linked below, take a printout of this and fill it with details which are necessary. Send this application along with the DD and attested copies of relevant certificates. This should reach the address "DGAFMS/DG-1A, Ministry of Defence, ‘M’Block, Room no 60, Church Road, New Delhi-110001" before the last date. Raigad Collector Office Recruitment 2015 for Assistant Programmer - www.raigad.gov.in: Raigad is a district in the state of Maharashtra. The district collector issued a public notice regarding the vacancies existing in the administrative office of Raigad. Stating that notice applications are invites from deserving and talented candidates through online for the 12 vacancies existing in the designation of Assistant Programmer and Data Entry Operators. Aspirants who are seeking for job in a government organization may prefer this job and act towards the applying process which stated below. Other details regarding the eligibility criteria and other information can be gathered in the official notification issued by the Raigad Collector Office. Aspirants seeking to grab the position of Asst Programmer must possess B.E/B.Tech or M.Sc degree in the discipline of Computer Science or Information Technology form a reputed institution with an aggregate mark not lower than 60 percent. For the other post candidates who possess 12th class or Diploma from a recognized board are eligible. Candidates who are not more than 35 years and completed 18 years of age as on 1st January 2015 are eligible to apply. However, relaxation in upper age limit will be given for reserved category applicants. For the post in Sl.No 1 the allocated pay band is Rs.9300-34800/- along with a Grade Pay of Rs.4300/- per month. The Data Entry Operator possess a monthly salary ranges from Rs.5200-20200/- in addition to this Grade Pay of Rs.2400/- per month. Job seekers who are interested in this vacancy may get the application form from the official website of Raigad District. Log into the website www.raigarh.gov.in, in that site go to the section ‘recruitment/ tender’ from there get the application form and take a hard copy of it. Fill this application form with details which are mandatory and true to your knowledge. Send this application form along with necessary certificate copies and documents to address "Collector & District Election Officer, Raigad Collector Office, Pin-402201, Maharashtra" not latest by the last date. Last Date to Submit Application form - 30th April 2015 before 5:30 PM. BPCL Recruitment 2015 Online Application for General Workman Vacancy: Bharat Petroleum Corporation Limited (BPCL) is an oil and gas exploration company engage in the activities of refining, marketing and distribution of petroleum products. This company is undertaken by Government of India as a public sector enterprise. BPCL has various refineries all over India, among them the Kochi Refinery published a notification seeking for employees in the cadre of General Workman-B. According to the notification there is around 71 vacancies existing. Candidates who possess the required qualification and having the quoted eligibility may apply for this job. The detailed information regarding this vacancy is given below in this section. Aspirants who possess full time diploma course in any of the above said disciplines with 60% marks or more are eligible to apply. Candidates who are waiting for final years results are advised to apply. As per notification the upper age limit for general category candidates is 30 years. Relaxation in upper age limit will be given for reserved category candidates. Age limit will be reckoned as on 01 February 2015. The selection process comprise written test followed by that interview takes place. Based on the performance in written exam interview call letter will be sent to candidates. The selected candidates will be appointed in the pay scale ranging from Rs.12500-22000/-. Along with this they will also enjoy the benefits of DA, HRA, PF, Gratuity and more. The final CTC for an employ per annum will be approximately Rs.5.51 lakhs. Candidates who are interested in this job must fill the online application. It is available in the website "www.bpclcareers.in". Log on to this website and fill the required details from the link provided. After providing all the details and submit the application. Take a printable copy of the application form for future reference. NBCC Gate Recruitment 2015 for Management Trainees www.nbccindia.com: National Buildings Construction Corporation Ltd (NBCC) is a public sector project consultation company deals with real estate activities. It is ranked with NAVRATNA CPSE and mostly handles the projects of Ministry of Urban Development. This well established company published a recruitment notification for Management Trainees through GATE 2015. The notification issued by NBCC India in their official website states that, 27 Civil Engineering graduates are going to be recruited through the GATE Exam 2015. Candidates who possess B.E or B.Tech degree in civil Engineering are invited to participate in the recruitment process through the GATE Exam. The other details regarding to this vacancy are listed in the below sections. Go through the official notification before applying to get more details about this selection. Aspirants seeking to get this job must possess a Civil Engineering Degree (B.E/B.Tech) or its Equivalent qualification obtained in a regular stream from a Recognized University is necessary. The minimum mark to be scored in this examination is 60% as Aggregate. The upper age limit for the candidates to participate in the selection process is 29 years as on 19th Feb 2015. However, relaxation in age limit will be given for reserved category aspirants as per the existing reservation rules. Based on the GATE Score eligible candidates will be shortlisted. These candidates will be further invited for Personal Interview. On considering the Gate Score and the presentation in the personal interview the final selection takes place. Selected candidates will be appointed as a Management Trainee for duration of One Year. On completion of this one year probation period successful, the appointees will be designated as Sr. Project Executive (Civil) with a monthly pay scale ranging from Rs.16400-40500/- per month. General or Unreserved category applicants are only advised to pay application fee. All others are exempted. The application fee is Rs.1000/- which must be remitted by means of online transaction using debit/credit card or net-banking. The application process contains two stages, initially all candidates have to apply for the GATE 2015 Exam. On successfully completing the GATE registration process, candidates have to register in the NBCC website online using the GATE registration number before the last date. SSC Constable and Rifleman Recruitment 2015 Apply Online at www.ssconline.nic.in: The Staff Selection Commission (SSC) has published a notification in the Employment News Paper regarding the recruitment of Constables and Rifleman for the Paramilitary Forces. The notification states that there is around 62390 vacancies existing in various Forces. SSC conducts an open examination to select deserving and eligible candidates. The recruitment process carried out by Staff Selection Commission contains various stages. This includes Physical Standards Test, Physical Efficiency Test, Written Examination and Medical Examination. Candidates who possess good standards and performance in these tests only will be selected. Candidates who complete Matriculation or 10th standard or its equivalent from a recognized Board or University are eligible to apply for this job. Aspirants who wish to get this job must not be more than 23 years of age as on 1st August 2015 and should not be less than 18 years of age on the same date. Relaxation in upper age limit will be given for SC/ST, OBC and Ex-Servicemen candidates. As above said, selection of aspirants contains several stages. Initially the applicants will be invited for Physical Standards test followed by that Physical Efficiency Test will be carried out. Candidates who qualify these two tests will then undergo written test. Finally the Medical Test will take place. Completing all these exams successfully grants the appointment as a Constable or Rifleman in any one of the forces. Selected candidates will be appointed in deserved designation with a monthly salary ranging from Rs.5200-20200/- along with a Grade pay of Rs.2000/- according to the Pay Band One. Candidates have to pay a fee of Rs.50/-. This fee has to be remitted by means of online mode using the State Bank of India challan or online payment through Net Banking or Credit and Debit cards. Candidates who are interested in this job may apply on-line in the official (http://ssconline.nic.in and http://ssconline2.gov.in). By getting into any one of these websites, select the appropriate link to submit your details. On successfully entering all these details pay the fee online. Then continue to the second stage of the application process to upload your details whatever required. www.forests.tn.nic.in TNFUSRC Recruitment 2015 for 181 Foresters: Tamil Nadu Forest Uniform Services Recruitment Committee (TNFUSRC) has published a notification regarding the vacancies existing in Tamil Nadu Forest Department. According to the published notification there is around 181 posts existing in the designations of Forested and Field Assistant. Aspirants seeking job opportunities in reputed Government Corporations may prefer this vacancy and act towards the selection process. The estimated number of posts mentioned in this notification is tentative. Candidates who possess desirable education qualification and being physically fit are invited to apply. The selection process consists of several tests which includes written and physical. Participants who are selected through this recruitment process will be appointed as a Forester and Field Assistants in the concerned corporations. Candidates who wish to apply for this job must possess bachelors degree under any of the below mentioned disciplines. The minimum age to apply for this job is 21 years and the upper age limit for General category applicant is 30 years and for all others 35 years. On completing the written exam successful deserving candidates will be invited for physical tests. Proving themselves in the physical test and personality test in the final will be considered to selection. Along with other eligibility criteria candidates must possess desired Physical Standards and Physical Test. Finally they must satisfy a medical board as to his/her physical fitness and capacity for rough outdoor work. Selected candidates will be appointed in the concerned posts with the salary ranging from Rs.9300-34800/- per month along with the grade pay of Rs.4200-4400/- per month. The cost of the application fee is Rs.60/- and the Examination fee is Rs.262/-. All these fees should be paid while collecting application form. Exemption on these fees will be given to reserved category applicants. Job seekers who are willing to apply for this job may collect the application from any one of the designated Post Offices in Tamil Nadu/ Pondicherry. Then fill this form with necessary details and send to the address “Chief Post Master, Anna Road HO, Chennai-600 002” before the last date.